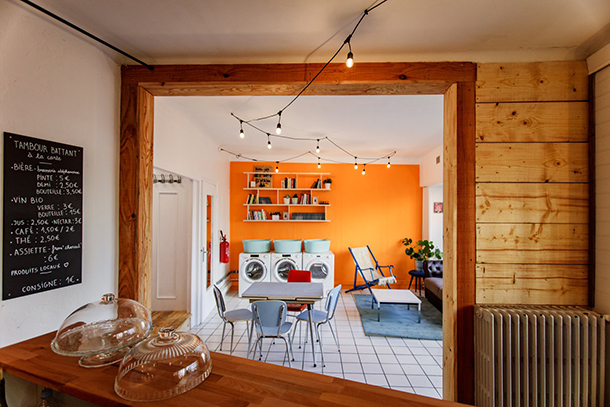 Located in the Châteaucreux district of Saint-Etienne (42), two minutes from the station, the Tambour Battant is an ephemeral café / laundromat designed by the Palco collective, in order to fight against the multiplication of commercial vacations. 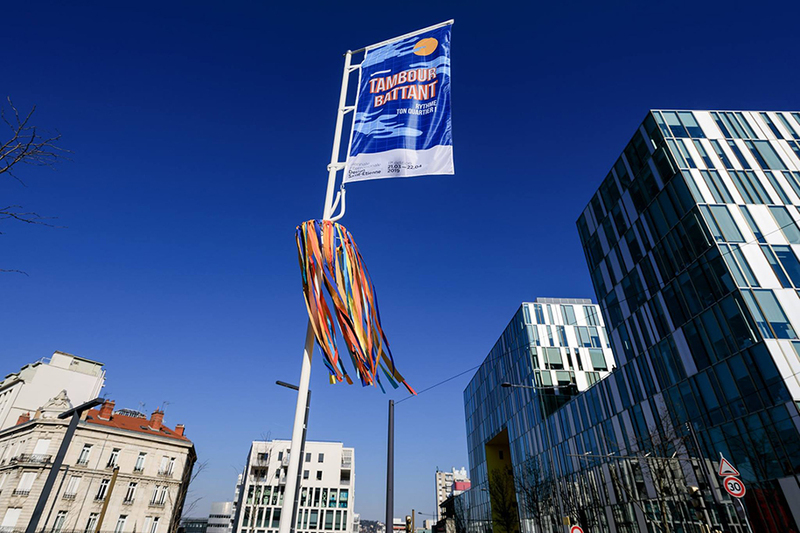 A unifying concept initiated on the occasion of the International Design Biennale, which brings together establishments, associations and local businesses. You will take a little coffee? Vacant and abandoned for years, locals at the top of Denfert-Rochereau Avenue are finally enjoying a second wind. 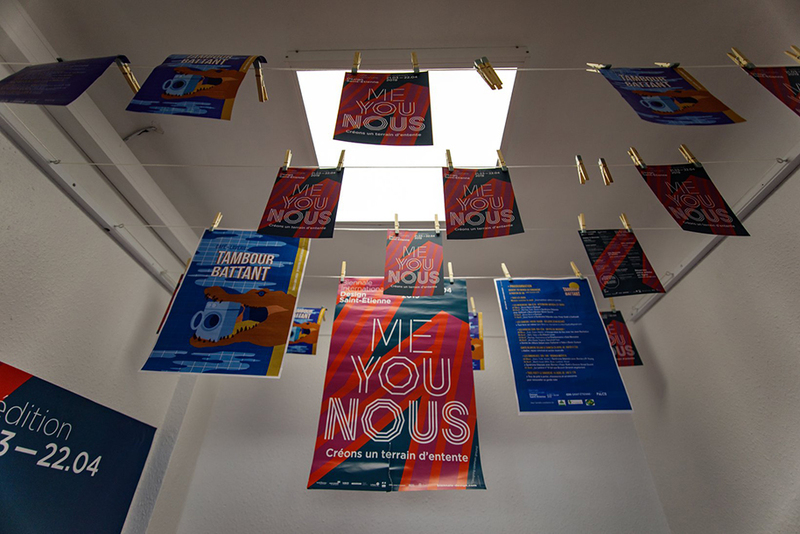 Thanks to Charlotte Haefflinger and Léa Pruykemaquère, there is no question of going past the ground floor without stopping drinking a coffee, making a machine or even working for an hour or two. 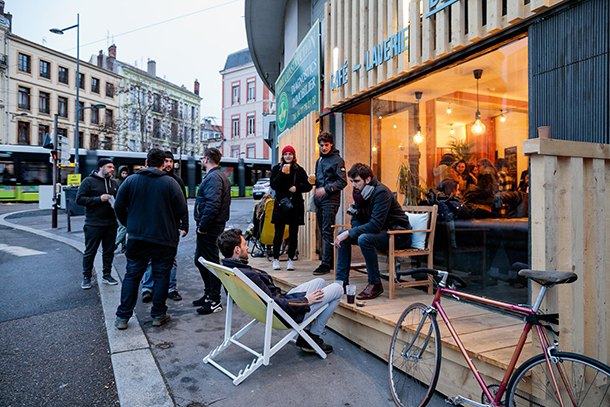 The two designers were commissioned by the EPASE (Public Establishment of Planning of Saint-Etienne) to animate this neglected corner of the communities. In order to give life to this unique project in the former mining town, they conducted surveys to meet the needs of the inhabitants and quickly realized that most did not have a washing machine and therefore had to go to the building. launderette nearest Jean-Jaurès, is about twenty minutes walk. A time now gone and improved living conditions. At the Batting Drum, washing clothes is free, provided you consume and bring back your own products. How to resist the urge to spend his afternoon in this cozy space with furniture mismatched comfortable? As at home, but better, the cafe has a large wooden terrace landscaped island free access. We can enjoy the sun of Saint Etienne with a good book without having to sip anything. What to make the whole thing even more attractive! Produced as part of the Eleventh International Design Biennial of Saint Etienne, the Batting Drum is not the first coffee experience conceived by the Palco collective. 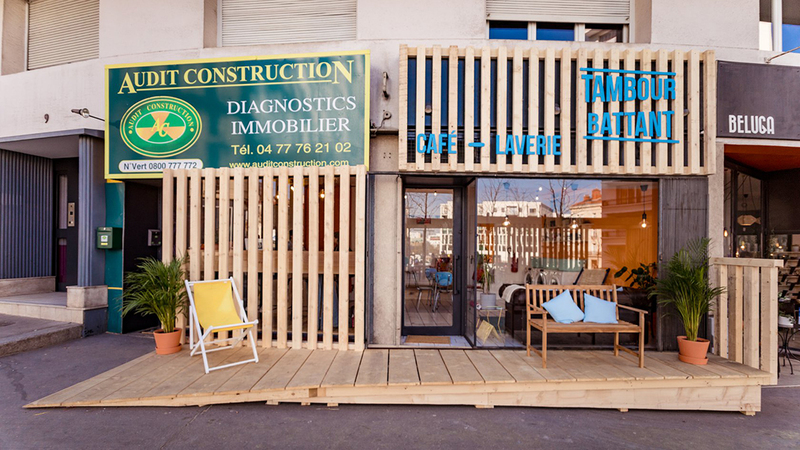 On the contrary, if last year, the latter had opened the If I had a Café in the district of Beaubrun, they propose today, in parallel of this establishment, another refreshment bar arranged with the Office of the Tourism. Lastly, if the project was initially intended to be only effective during the event, the creators are now in discussion with several institutions in order to perpetuate the place, thus continuing to deliciously improve the daily life of the inhabitants of the neighborhood. .
Who said you should not wash your clothes in public?